4.Our caravan sleeps a maximum of 6 people, this must never be exceeded. The names of those staying is required, and only those individuals named on the booking form can reside at the caravan. Should anyone else be found to be staying this will be deemed as a breach of the contract and you will be asked to leave. Each booking is subject to the receipt of a non refundable £100 deposit plus £100 security/ cleaning bond and must be paid within 2 days of the booking form being received. Should you decide to cancel the booking, your deposit will be forfeited but the security / cleaning bond will be refunded in full. NEW FOR 2019 - Taking bookings now for our new Beaumont for breaks in 2019. 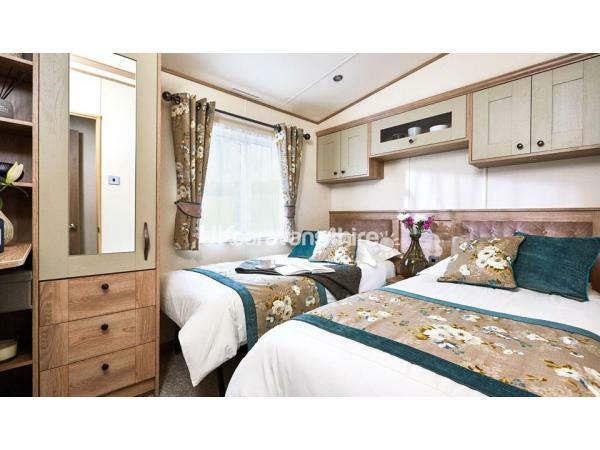 If you want something that little bit extra, which has unbelievable views across the sea, want time to chill and relax, and all in a modern comfortable caravan - then look no further. 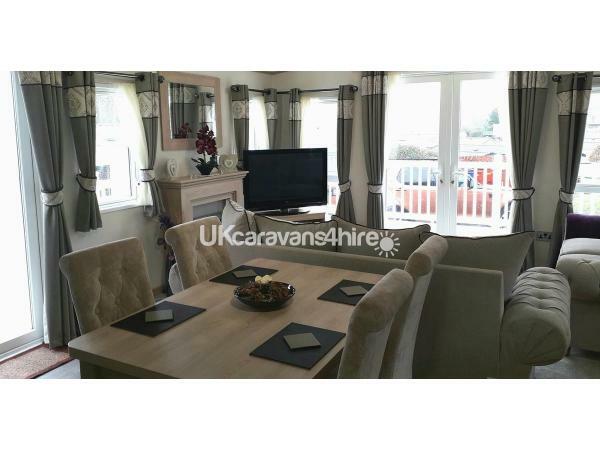 The caravan has a full wrap around decking in white upvc complete with both decking and lower ground patio furniture, with amazing views of the bay to the front. The master bedroom has a separate en-suite complete with shower, WC and hand basin, with the main bathroom having WC, handbasin and shower. The Welsh coastal path is a mere 100 metres from the van, with the beach only a 5 minute stroll. The seaside town of New Quay is quite literally on your doorstep with bars, restaurants and tourist shops - it's a sheer delight day or night - and you never know you may even catch a glimpse of the famous Cardigan coast dolphins. The village of Aberaeron famous for it's finishing industry and honey icecream is only 12 minutes away by car, and is well worth a visit. Check in is usually from 3pm with check out being 10am. Both Asda and Tesco will deliver to the site, so you can pre book your shopping to be delivered for when you arrive. Additional Info: The site also has a heated outdoor swimming pool with specific activities throughout the week. Had a fab holiday at Lyn/Ians caravan, it was spotlessly clean and had everything you needed. The beds were very comfortable and plenty of room in the main bedroom. Lovely decking and quiet area of the park. Would highly recommend booking this caravan, Lyn/Ian were lovely and welcoming. Would love to come back next year. Thank you for a fab holiday. Lovely caravan in a quiet area of the park. 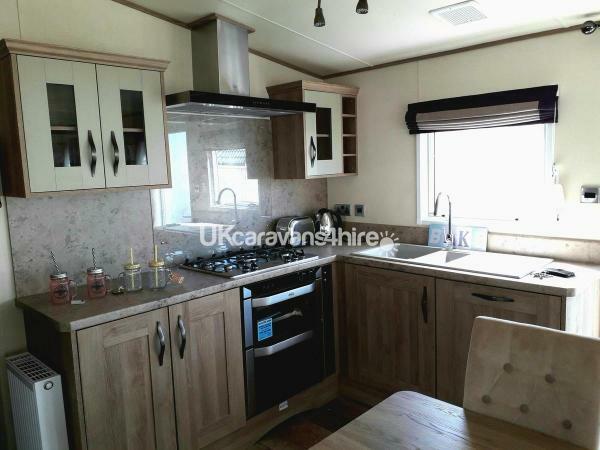 Really clean and tidy with everything you need.We enjoyed chilling out as a family in the caravan.Lyn and Ian made the booking process very easy and were there to meet us and show us around caravan. 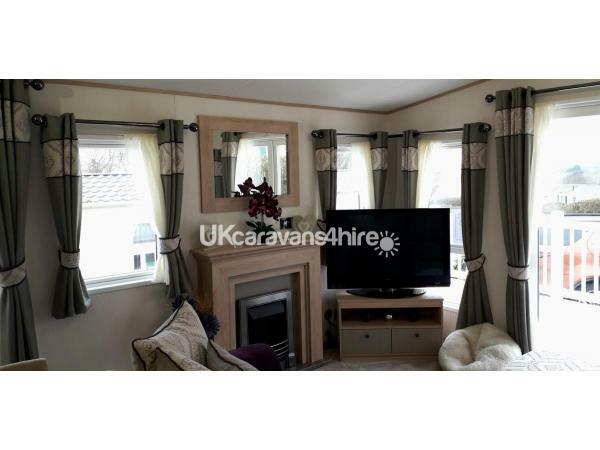 They were both really friendly and helpful and I would definitely recommend booking this caravan. We would love to return in summer months. caravan spotless we were on our honeymoon wedding b ells hanging up and champagne awaiting . owners helpful . this break had everything you could want in a caravan holiday . 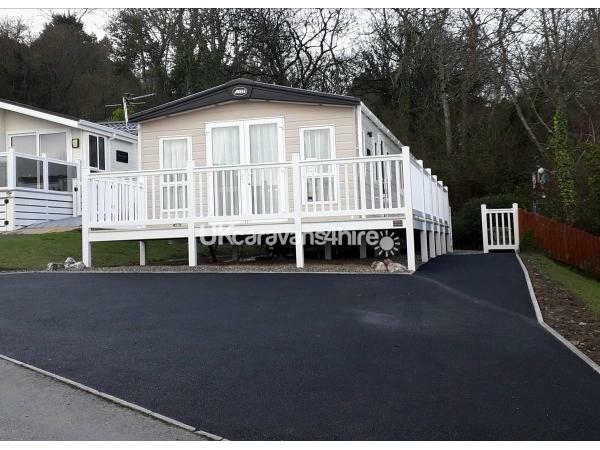 The caravan was excellent, exceeding our expectations, plenty of room, great decking area to sit outside also a garden/ patio area. 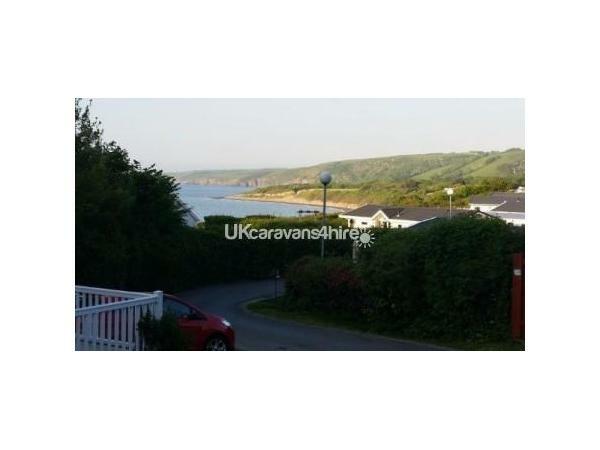 The caravan is in a lovely position with great views over New Quay. Lyn and Ian made us very welcome and Lyn did a good handover explaining where everything was and how it worked. Customer service was excellent and I will hopefully be returning and would definitely recommend staying here. This was our first holiday away with a young baby. 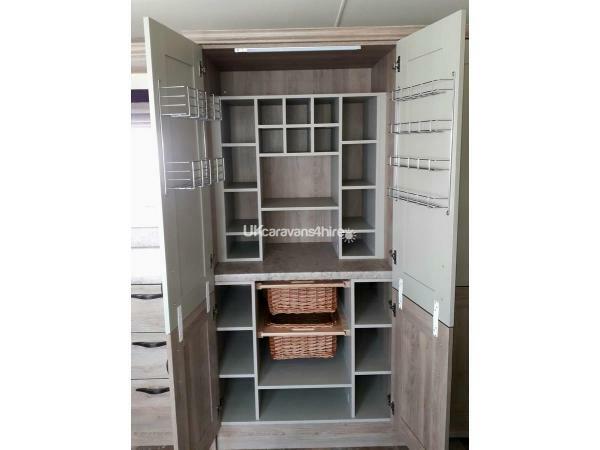 The caravan had everything we needed for a relaxing holiday. The washer/drier was also a useful addition. Very good when you have young children! The closeness of the caravan to New Quay was ideal for us and the views were wonderful to wake up to everyday. We really couldn't fault it and we hope to return next year. Thank you Lyn and Ian. 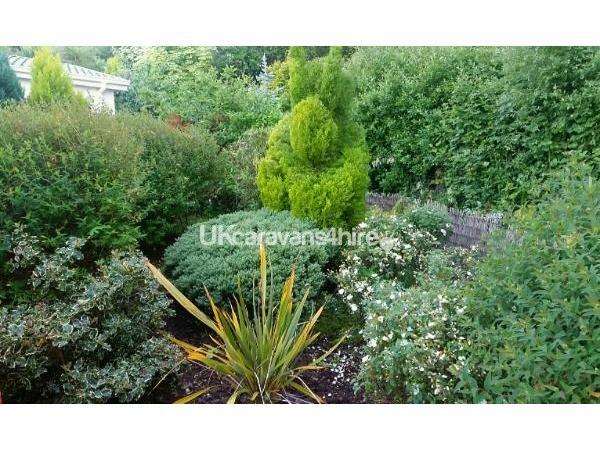 Lovely caravan in a quiet location close to coastal path to New Quay. Very clean, well maintained and fully equipped for a young family. Booking process was very easy and bed linen a welcome extra. We hope to return! We stayed here recently and had a lovely relaxing time. This was our first visit to Quay West and we fell in love with this caravan and site. We were in a secluded area with woodland behind, a garden, extensive decking and a sea view. 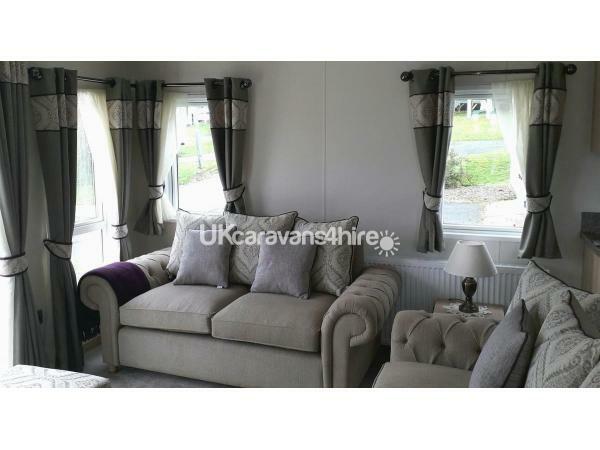 Even out of season with no entertainment facilities, we would definitely recommend staying in this first class caravan. It is a beautiful area, stunning beaches, great food, very friendly and a bonus was the sunny weather! Lyn and Ian have made the booking process easy and were there on site to greet us. We were made to feel very welcome and it felt like a home from home. Great for the two of us, but plenty of room for a family. We hope to return later on in the year. Thank you Lyn and Ian.